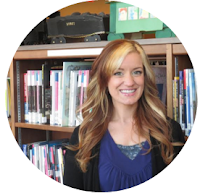 Kara S Tyler is the real world name of author Pavarti K Tyler. 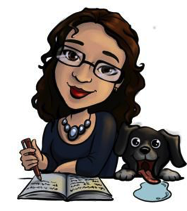 As Pav, her books have spanned genres and won many awards, however, they are geared toward an adult audience. Now that she’s writing children’s books, Kara has decided to use her real name. What a fun little book! I always love a children's book that has fairies, secret worlds, and transforms the imagination into reality. 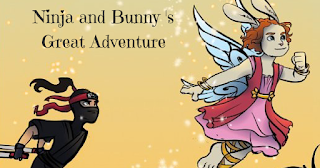 Ninja & Bunny's Great Adventure is exactly that, a great adventure! Marian is six years old and enjoys playing make-believe. One of her favorite toys is her Isla fairy doll. One day, her older sister, Ruthie, charges outside proclaiming that Isla needs help. Marian takes no time at all to jump into their chest of costumes and prepare to fight a mysterious intruder in Fairyland. However, Marian is unaware that Fairyland is a real place. 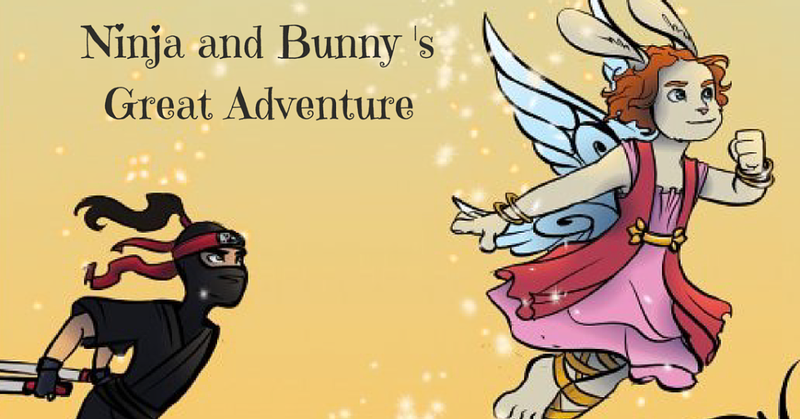 Ninja & Bunny's Great Adventure is a book that kids can love and relate to. It's every child's dream for their imagination to come to life. 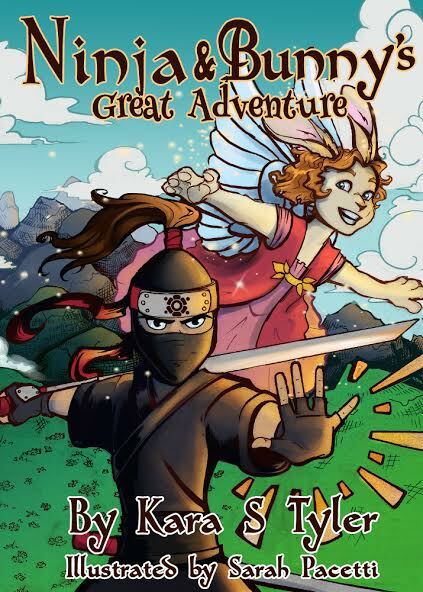 With elements such as fairies, a bunny, a ninja, and a forest, readers will surely be lured into Tyler's magical world. There is a lot of action and depth put in to such a short book, so it moves at a very fast and exciting pace. Educationally, there is a good balance of simple and more complex words to help the developing reader learn new terms without going too far over their head. The illustrations are vivid and rich with movement. I read this on my kindle, so I would read a page, and then "flip" it to see the image for a given passage. There were moments I'd flip to the illustration and was wowed by the depth in the imagery. I was very impressed, and would love to see more! I also loved Bunny's costume...it's like Card Captor Sakura goes to Greece! At first I wondered how on earth this story was going to fit into only 48 pages. The way it was written seemed like there should be more to the story. I loved the book regardless, but I think it would be even better as an early chapter book (think "Magic Attic Club" size or "Oliver and the Seawigs" with the illustrations). Since it was so short, the plot had to move quickly and I was left wanting more because it seemed to move too fast. However, being picture book sized makes me want to read it for storytime! 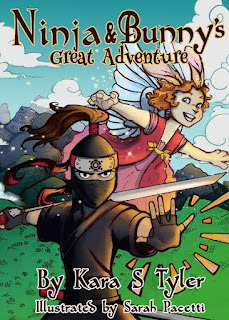 A fun book full of adventure and excitement, Ninja & Bunny's Great Adventure is sure to please the young reader.